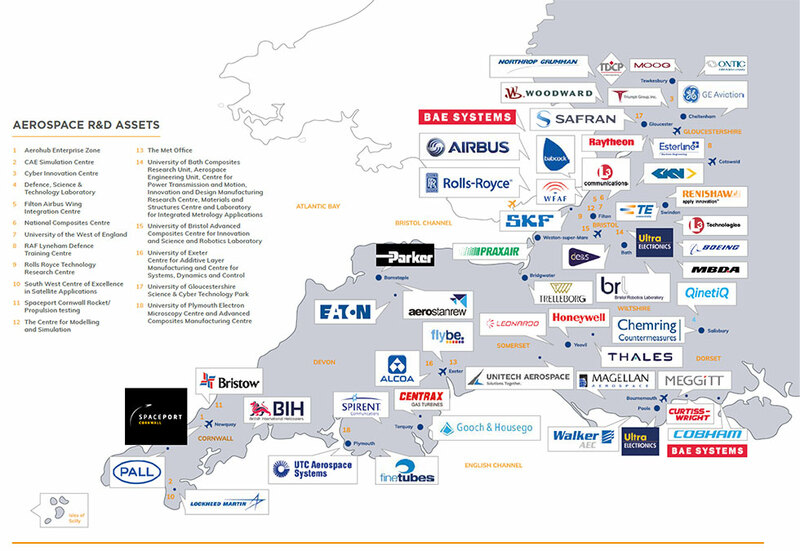 The South West Aerospace cluster has global prominence and is essential to driving up the UK’s industrial productivity and excellence. iAero’s purpose is to collaborate to innovate and retain global competiveness. Business support for the SME supply chain. iAero is a cost-effective mechanism for enabling technological innovation, making it faster and better through effective collaboration. Reducing the cost of technological advancement. Shared investment with appropriate partners. Access to wider sources of public and private sector funding. Reducing the risk of technology advancement. Collaborative R&D investment and wider problem ownership. Greater responsibility for innovation in the supply chain. Dedicated facilities – undiluted by programme activities and priorities. Increased resource application through an extended network. Increasing access to aerospace technology. Inputs from multiple teams with a common higher- level objective (supply chain, research centres, academia and other sectors of the aerospace industry). Leverage through the catapult centres into other Industry sectors. Cost effective route to sustaining key skills. Clear, segregated focal point for technology development. iAero made a response to the Government’s Green Paper on Industrial Strategy, click on the link to access.